The 2014 Rolex Big Boat Series September 11-14 in San Francisco Bay was a fairly different experience for me this year. I’ve done more BBS’s than I can can count now, but none like this. First off, we didn’t sail a big boat. BBS has, over the years, grown more inclusive to the point where this year they included the not-quite-23 foot J/70s. 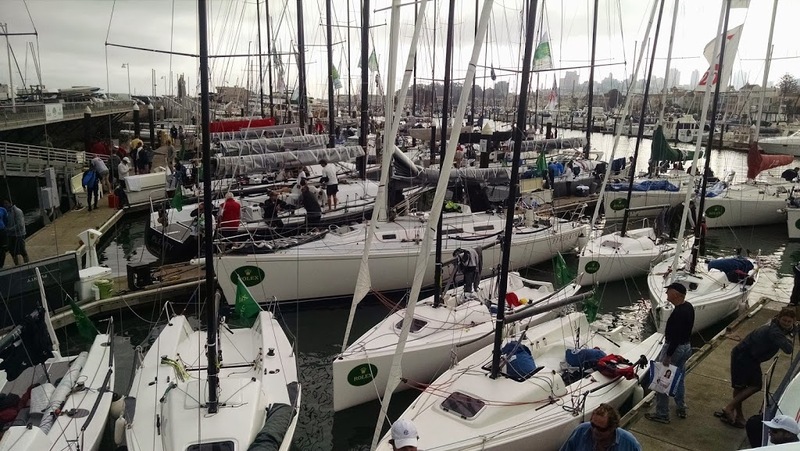 Thirteen teams plied the waters of San Francisco Bay, a pretty good turnout considering it was mostly local boats and the event was concurrent with the massively attended J70 Worlds. Secondly, I sailed with a nascent team. It flies against my instincts to compete in a high level event without significant practice and preparation. I like to be competitive, and a lack of preparation is a recipe for frustration. As I said, however, this was a different Big Boat Series. You see, we had a J/Would alumni who just a month ago bought a J70. It’s his first boat. He’s been a great client and his enthusiasm for all things sailing is a real pleasure to be around, so when he expressed interest in jumping right into the ‘deep end of the pool’ and taking a shot at BBS, I couldn’t say no. If I had really thought about it and considered the fact that he had never driven a boat in a real race (outside of J/World Racing Clinics), or if I had thought about the fact that we had precisely one, and only one, weekend regatta to prepare, maybe I would have passed on the opportunity. But then I would have missed out on a remarkable experience. What the fleet lacked in LOA was more than made up for in sheer talent. Paul Cayard was trimming main and calling tactics for Andy Costello (also owner of the J/125 Double Trouble). There were at least three sail-makers racing on different boats, and a huge host of talented skippers and crews. The regatta was seven races over four days. Each morning, our initial daily race was on a windward/leeward course up the SF city front. Morning breezes were light (10-12 knots generally) and building, and a good flood tide kept the boats tight up against the shoreline for current relief. For the afternoon race each day, the fleet over to the Alcatraz course. Breezes each day had built to 20-26 knots and the current had only built. The afternoon races were marathons, some 16 miles long, including legs from the Golden Gate all the way down to the Berkeley Circle…. and back! So all of that is pretty standard BBS. So what was different about this one? 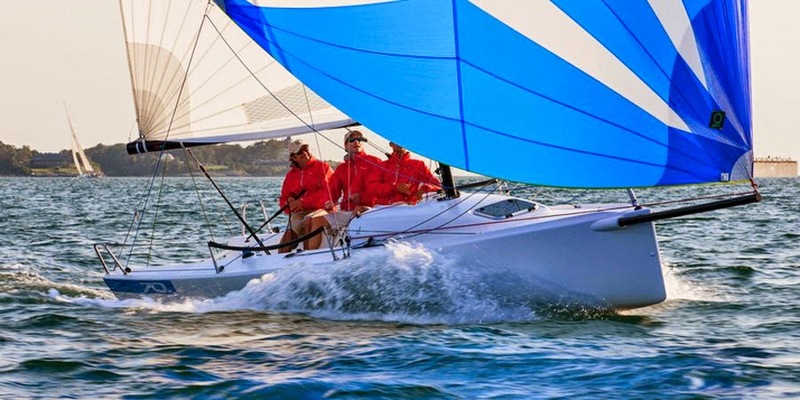 We showed up at a the premier sailing event on the West Coast with a new boat, a new skipper, and a new team, and we felt like we were racing sailboats. We didn’t break anything, didn’t crash-and-burn (well, ok, there were maybe two good solid broaches! ), and didn’t get flushed out the back. And we had an absolute hoot. 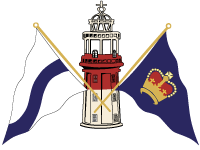 Our skipper, so new to the sport, was out there with some of the top sailors in the country… and in the world!… and we could taste the competition, sailing many of the courses and races right in the thick of the pack. In what other sport could you possibly do that? And in what other boat? Anyhow, congratulations to Andy Costello for the overall win, and thanks to Dan for a great effort, and a great event. It really is a ton of fun sailing with him, and he puts up with our antics pretty well. His progress has been remarkable (a testament to J/World training programs and coaching, if I do say so myself), and we expect great things from him!